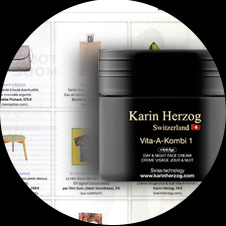 This product range is unique in the world, made with active oxygen and developed on the shores of Lake Léman. 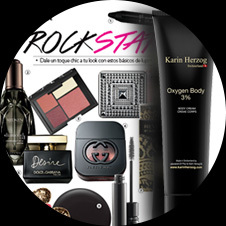 Oxygen, an indispensable element of skin life and health, has many qualities. Formulas with oxygen, a powerful disinfectant, are hypoallergenic, suitable for all skin types and need no preservatives thanks to its cleansing action. 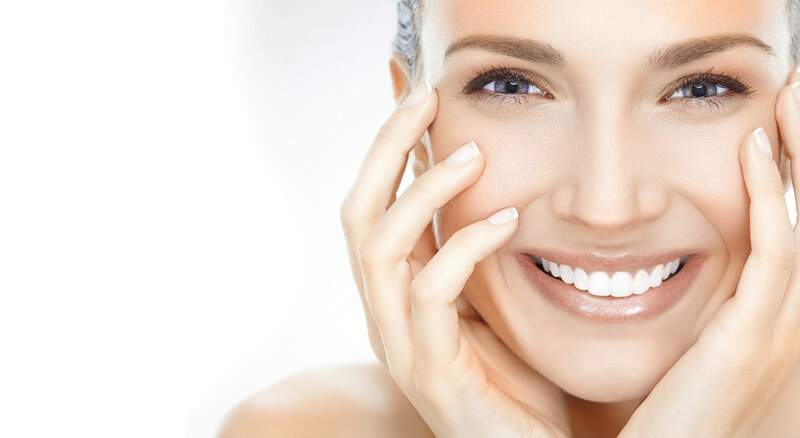 A purely natural element, active oxygen is highly moisturizing and has great affinity with hydrogen, helping create water molecules within the epidermis. 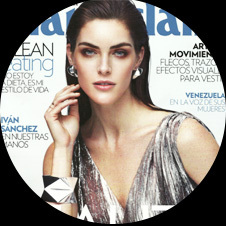 Our skincare creams for sensitive areas : eye contour, very fine skin, etc., are made with 0.5% active oxygen. 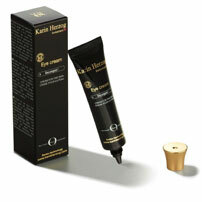 Eye Cream: eye contour, anti-puffiness and anti-dark circle treatment. 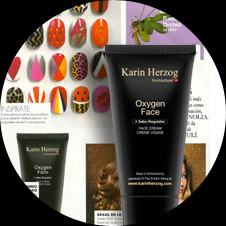 Oxygen Nail: nourishing and fortifying nail formula. 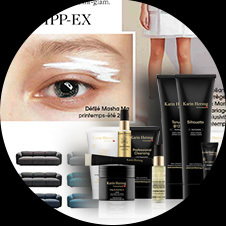 Our creams featuring 1% active oxygen are suitable for all skin types. 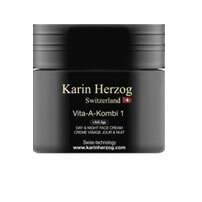 Vita-A-Kombi 1: fights against the 1st wrinkles and moisturizes skin deep-down. 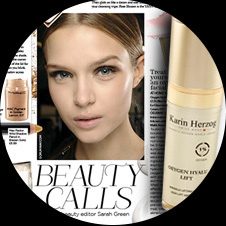 Oxygen Hyalu Lift: spectacular skin lifting skincare. 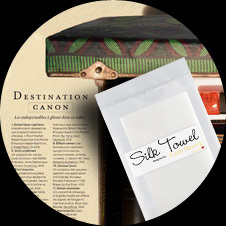 2nd level of oxygenation, intended for dry skin, with deeper wrinkles and for skin prone to imperfections. 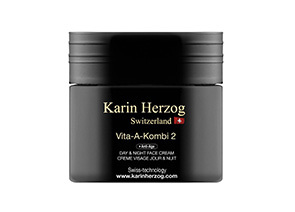 Vita-A-Kombi 2: thick skin, deep wrinkles. 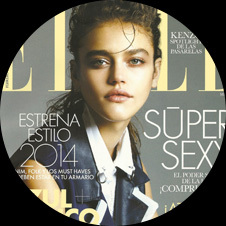 Essential Mask(moisturizes deep-down, fights the appearance of fatigue and tones the skin. 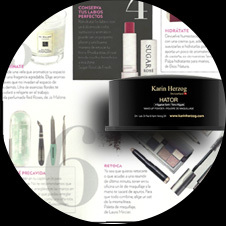 Our creams with 3% active oxygen fight imperfections at a deeper level. 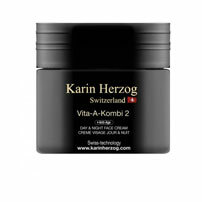 Vita-A-Kombi 3: targeted treatment against imperfections, pigmentation spots and excess sebum. 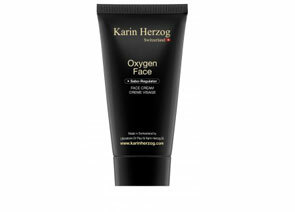 Oxygen Body 3%: firming and toning treatment. The 4th and most powerful level of our products. Made with 4% active oxygen in order to attack and break down fat deposits. Silhouette: highly effective slimming treatment, breaks down fat buildup, tones the skin and effectively fights against cellulite. 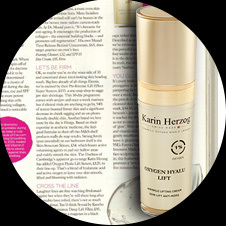 Deeply reoxygenating, Karin Herzog skincare reactivates cutaneous respiration and rids the skin from its impurities thanks to the antiseptic effect of hydrogen peroxide. Formulated with active oxygen, the treatments are applied in a very fine layer without the use of massaging, ideally with a brush to help release the oxygen directly onto the skin. 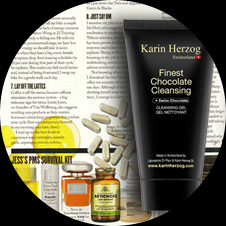 The definitive response for fighting against imperfections and excess sebum. Dr Paul Herzog, Swiss professor and scientist worldwide known, dedicated his whole career to the study of artificial respiration and oxygen benefits on human body. His work, for medical purposes, gave him the opportunity to understand its virtues. 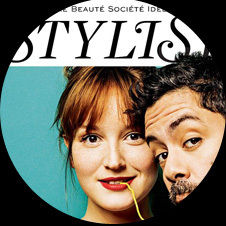 Like numbers of research doctors before him, he lives with the ambition of finding the solution to stabilize and fix the oxygen in an emulsion after he realized how much such formula would propose extraordinary curative virtues on the skin. Nonetheless, the difficulty is in the fact that it's a volatile element hard to conserve in a cream or any similar substance and, until then, nobody succeeded in fixing it. After several years of work and research, Dr Paul Herzog finally finds his formula. This amazing discovery will be patented immediately and includes two main innovations. 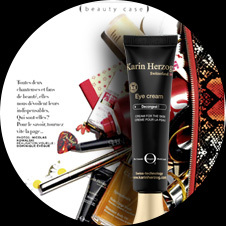 Dr Herzog, convinced by his wife's idea, created a line of cares based on the several formulations discovered during his research. 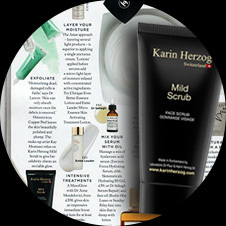 He decided then to name his collection "Karin Herzog".